CORONA, Calif. (August 9, 2017) – Monster Energy Pro Circuit Kawasaki’s Joey Savatgy and Adam Cianciarulo prepare to make a final push as the Pro Motocross season winds down to its final three races, starting this Saturday at Unadilla MX in New Berlin, New York. Savatgy carries a two-race win streak coming into Round 10, while Cianciarulo is out for redemption after narrowly missing the overall podium at the last round in Washington. It will be up to the No. 17 and No. 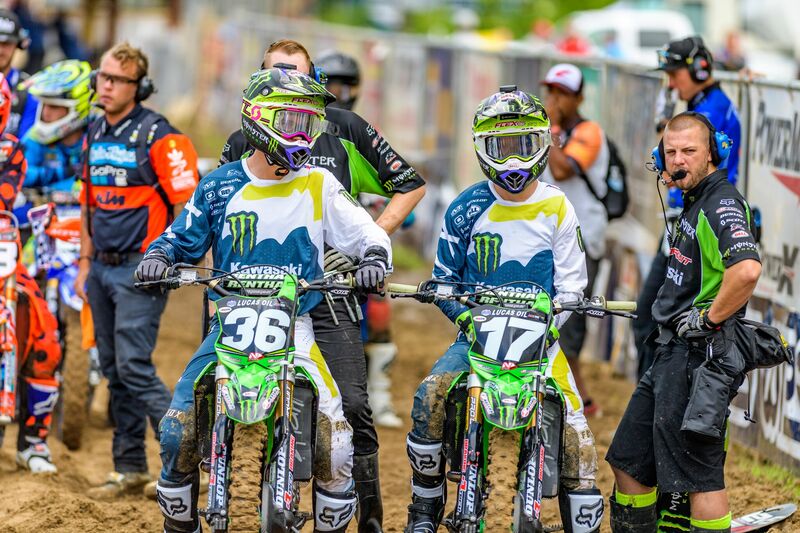 36 to bring home the top results as teammates Justin Hill and Austin Forkner will be sitting out of this weekend’s race. 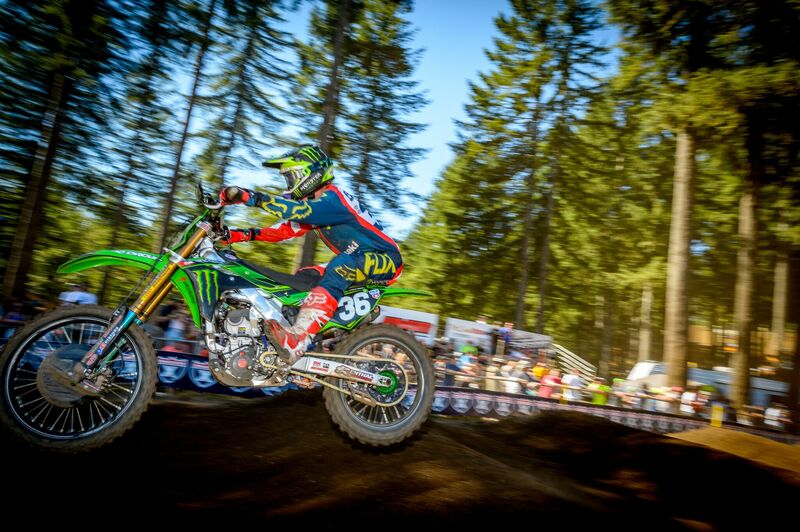 Savatgy is no stranger to good results at Unadilla, scoring the overall win at the track in 2015. With his current win-streak, the momentum is in his favor and the confidence is there to go for a third-straight win. 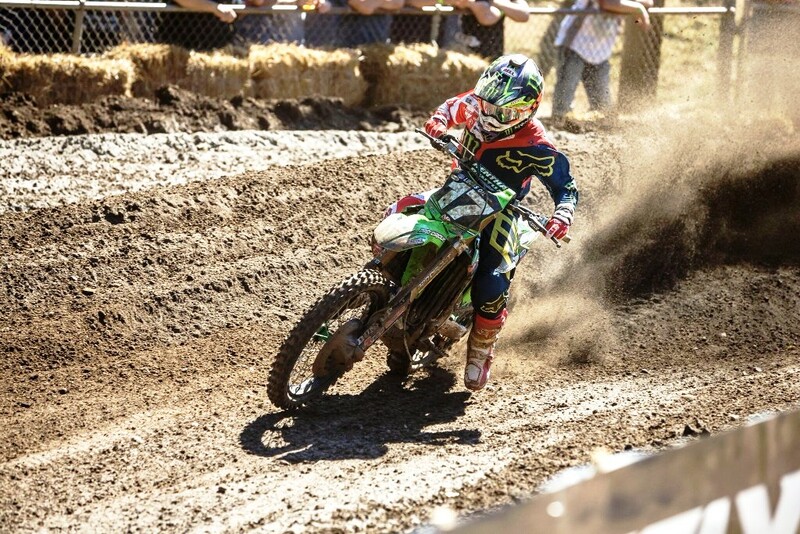 Cianciarulo has raced Unadilla twice in his career, scoring a best moto result of fourth last year. He’s shown solid speed so far this season especially early in the day when he’s grabbed three straight top qualifiers. Cianciarulo is ready to make it all come together in the motos this weekend in New York. The Monster Energy Pro Circuit Kawasaki fans are able to get autographs from the riders on Saturday morning after their practice sessions at the Monster Energy Kawasaki semi. To watch the motos, the NBC Sports Gold pass can be purchased for nonstop coverage. The first 250 Class will be LIVE on MavTV at 1 p.m. ET, while Moto 2 will be delayed until 7:30 p.m. ET on NBC Sports. Created by former desert racer Mitch Payton, Pro Circuit proves its products and services week-in and week-out through its tagline “We Race.” Every product that dons the Pro Circuit stamp stems from the legendary Pro Circuit race team. A staple in the professional paddock, Pro Circuit Racing has earned 29 AMA championships and more than 250 race wins in more than 30 years of competition.